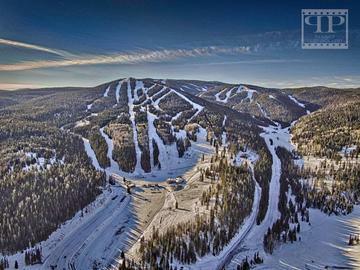 Join us for an exciting day of skiing or snowboarding at Sunrise Park Resort. A beautiful 4 hour bus ride from the the Valley, Sunrise is nestled in the beautiful white mountains. Sunrise Park resort offers an expansive skiing and snowboard experience across 3 peaks and boasts new state of the art snowmaking equipment. Tickets start at just $40 and includes refreshments onboard. All passengers younger than 15 years of age must be accompanied by an adult and will be required to submit a completed event waiver before boarding. Buses operate as scheduled dependent on the operation of Sunrise Park Resort and driving/road conditions. Desert Snow Connection reserves the right to cancel a trip at any time, in which a refund will be issued to the purchaser. Cancellations made 14 days or greater from trip date will receive a full refund, less a $10 per person processing fee. Cancellations made between 7 and 13 days from departure will be charged $25 per person. Cancellation within 7 days will result in full forfeiture of the trip cost. Should you find someone to assume your reservation and the office only needs to change names, there will be no penalty.